Last week I enjoyed a week away in sunny Spain and now I have major holiday blues! 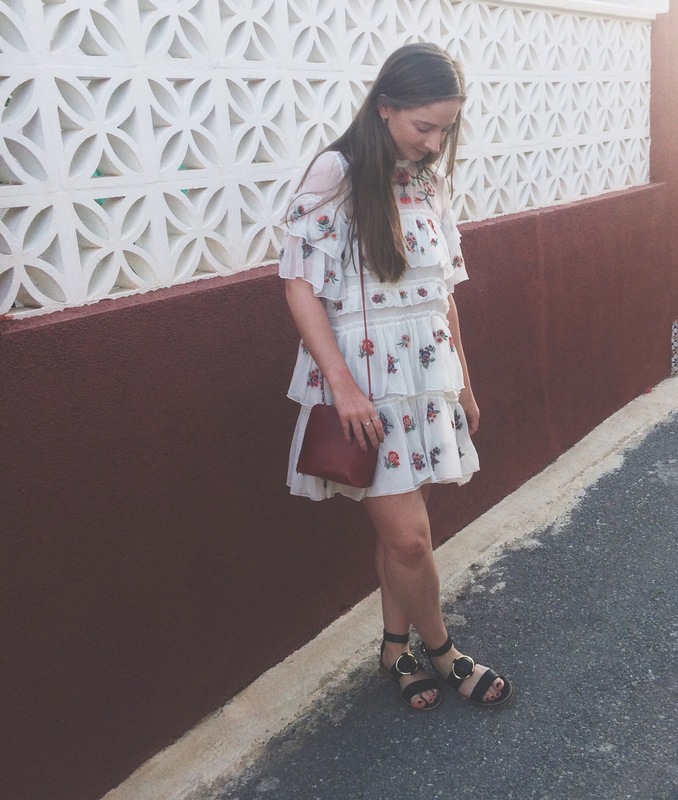 I much prefer choosing what to wear in Summer than in the Winter as clothes are so much prettier and it’s much easier to show off rather than throwing a jumper and a coat over the top (completely ruining the point of the outfit). Of course I went shopping before I went away and bought some amazing new clothes so I thought I’d do a post on a few of my favourite outfits featuring my new purchases. Outfit two is possibly my favourite as I’m in love with this dress. 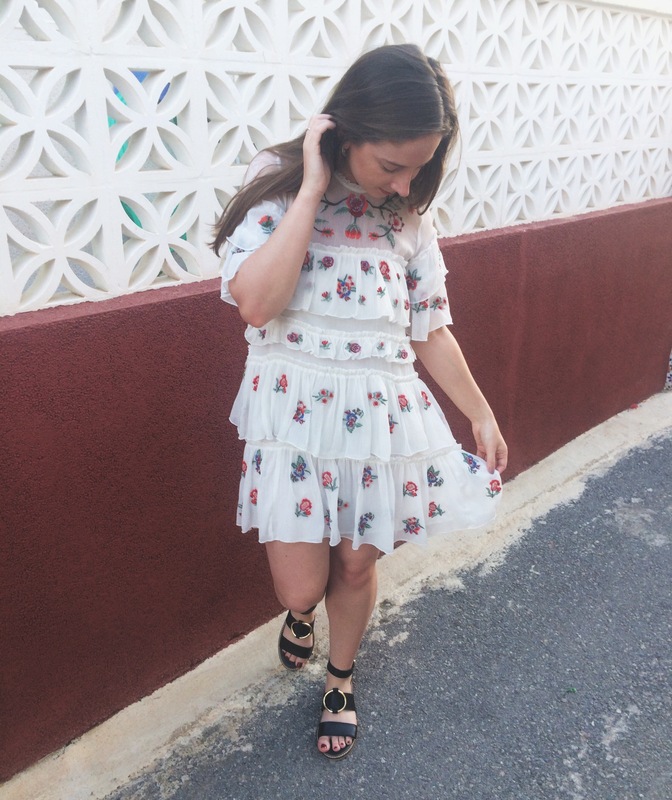 Another purchase from Zara with amazing ruffles and beautiful embroidery – perfect for Summer! Again this was matched with the leather sandals and my red leather bag bought in Italy. Outfit three was my final night outfit. 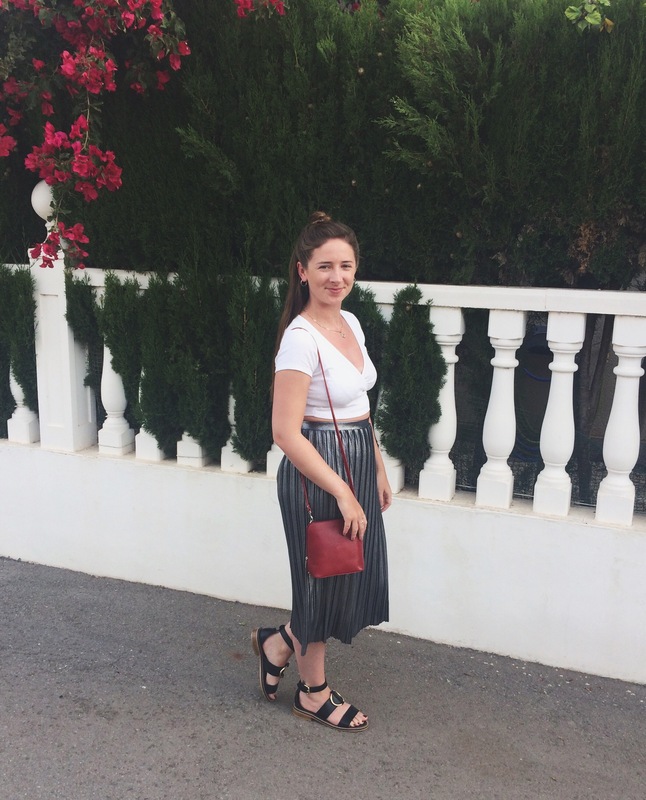 I never used to like midi skirts but recently I’ve found some really pretty styles, such as this metallic pleated one from Topshop. It went nicely with this cropped t-shirt I bought a while back, leather sandals and again my leather bag. Hope you enjoyed the post and take away some ideas for your own holiday outfits, I already want another one so I can wear sassy off-the-shoulder tops and pretty skirts! I loved your dress and the way you paired it! You look awesome! Thank you! One of my best purchases!